College can be a fun and exciting time full of new adventures and experiences. But with new experiences, new challenges await around the corner. For many new students, the fear of living away from home, making new friends, or even sharing a room with someone they’ve never met brings forth much anxiety and stress. This anxiety builds with the passing of every mile marker as students approach their new home away from home; questioning what awaits their arrival on their first ever move-in day. As their cars pass by the final stop light on 54th and City Avenue, students’ fears surprisingly settle as the stern Barbelin welcomes them to Hawk Hill. Emotions of excitement begin to rush in as students make their final turn into the parking lot, taking their first step into a whole new world. Welcoming these students into their new wonderfully inclusive community are the forever-friendly faces of Residence Life. Freshmen Residential Assistants welcome each new student with a smile and a helping hand as students’ parents gesture a nod of acceptance as they pass their beloved child into the care of their new Residential Assistant. As students settle into their rooms and prepare for classes, the Resident Assistants are busy at work planning activities and events to promote community building and university involvement. 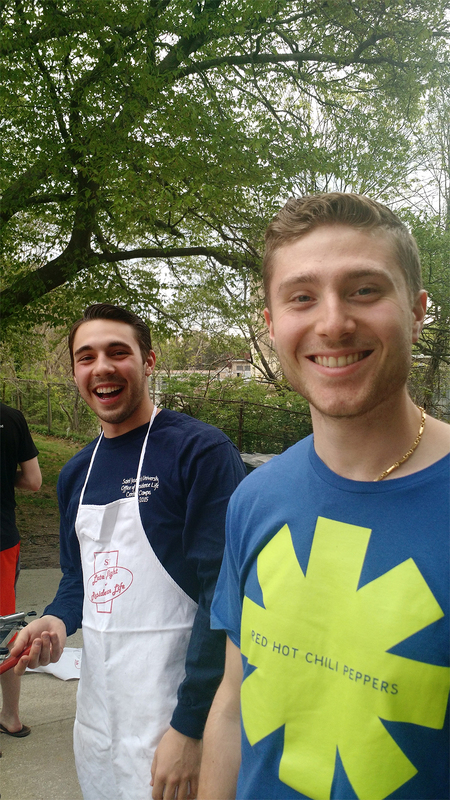 The role of a Freshmen Residential Assistant is to promote a welcoming, wholly inclusive community that reflects the ideals of the university and Jesuit beliefs. Residential Assistants assigned to these areas are full of energy and school spirit, encouraging students to present themselves as they truly are without fear of judgment or ridicule. By providing a sense of welcoming and inclusiveness, students soon begin to develop their own sense of school spirit and within a few weeks are ready to invest their newfound sense of acceptance into university organizations and events. Residential Assistants provide students with the tools and opportunities to excel and become acquainted with all the university has to offer. Providing students with information regarding campus events as well as promoting community building and academic excellence within the residence halls through planned in-hall programs, Residential Assistants humbly assist students to become completely invested in the Saint Joseph’s University community. As the school year progresses and students become more accustomed to their new world, Residential Assistants become an essential resource to students. Whether it is roommate conflicts, academic troubles, or other anxiety inducing factors, Residential Assistants provide a nurturing and confidential area for students to voice their concerns. As a university policy enforcer, Residential Assistance also provide students with a safe and maintained living space, fostering students in growth and development as they become enveloped in all that is Saint Joseph’s University. 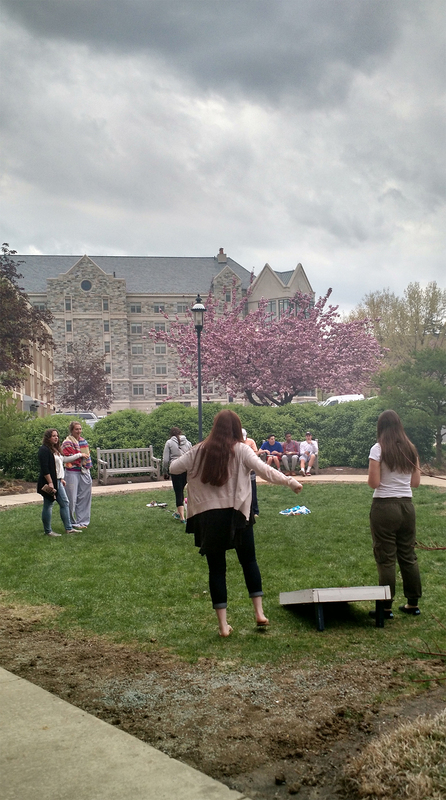 Above all, Residential Assistants reflect the eternal spirit of Saint Joseph’s University, encouraging students to embrace their inner Hawk and become “One in that Number, When the Hawk comes Flying In”. Brandon Ossont is a member of the Class of 2017 at Saint Joseph’s University and he was a Residential Assistant in Lafarge Residence Hall this past school year.